1 To get started, first follow the link above and download Free Pdf Printer from BullZip, then install it to your computer. 2 Once you're done, you might need to close the program (or the web browser) which you're currently viewing the document. This helps refreshing the list of available printers on your computer. 4 When you see the Print window pop-up, select "Bullzip PDF Printer" under "Printers", then click "OK"
5 BullZip PDF Printer will then start to analyze your document and display a new pop-up window, where you can direct it to the location you want to save the pdf file. 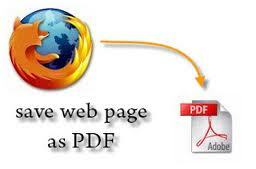 6 Follow the pop-up windows and the PDF document is created!